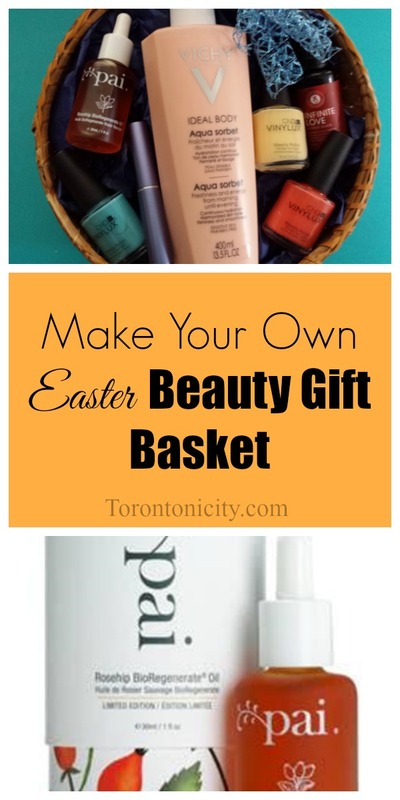 Easter is less than three weeks away and if you’re looking for Easter gift ideas for women, you might want to consider making a DIY Easter beauty products basket. We’ve picked some of our favourite beauty products that you can add to your Easter beauty products gift basket and we’re giving away Vichy Ideal Body Aqua Sorbet to one lucky reader (see giveaway details below). 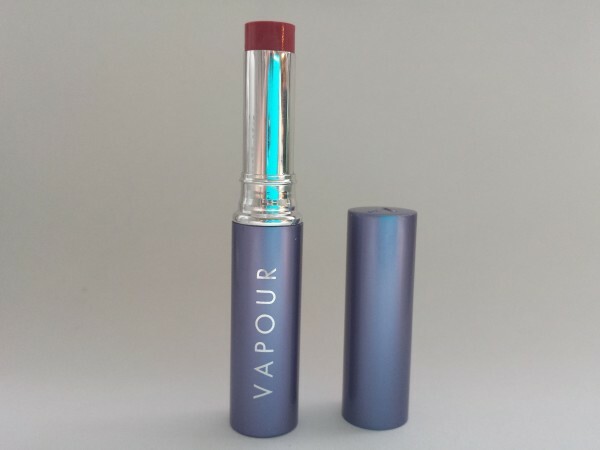 Vapour Organic Beauty Siren Lipstick in Coquette, $24, is a great choice for an Easter beauty gifts basket. Siren lipsticks are 100% natural and 70% organic with 30% minerals and essential oils. This lipstick shade is a pinky-fuchsia, and has a bit of shine, perfect for spring. 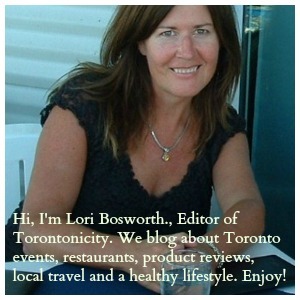 Purchase Vapour Organic Beauty Siren Lipstick online or at select stores including The Detox Market on King Street West. 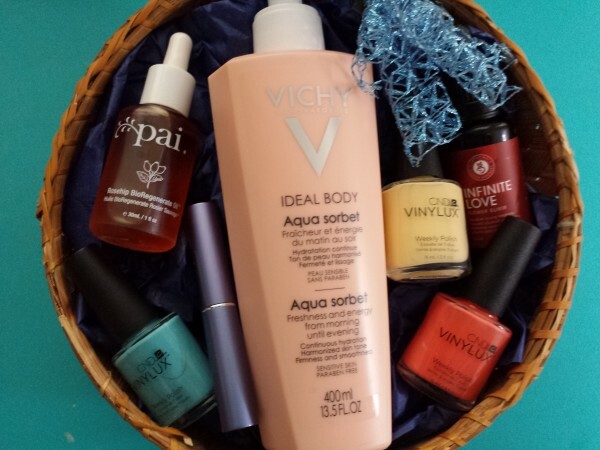 Vichy Ideal Body Aqua Sorbet is a great product to add to an Easter basket with beauty products. Like other Vichy products, the sorbet has a wonderful, light fragrance and feels silky against the skin. Apply Vichy Ideal Body Aqua Sorbet to skin right after the bath for a sensational cooling effect. Hydrating and firming, Ideal Body Aqua Sorbet contains Gingko Biloba and hyaluronic acid, which keep the skin hydrated. Vichy’s mineralizing water helps strengthen and regenerate the skin. Vichy products are hypoallergenic, contain no parabens and contain soothing Vichy Thermal Spa Water. Purchase online or in drugstores. 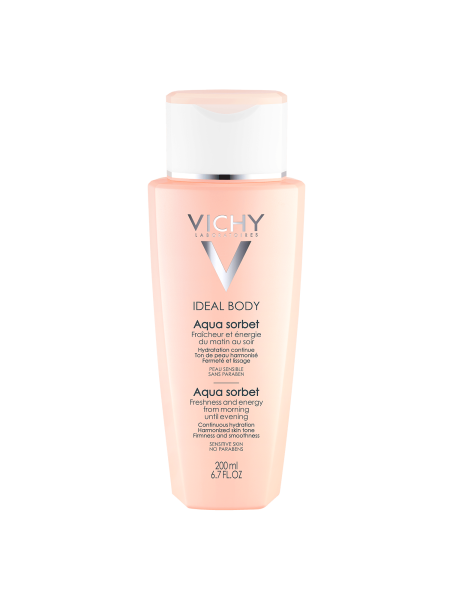 Vichy Ideal Body Aqua Sorbet is $22.50 (200 ml) and $29.95 (400 ml). Add one of all of these nail polishes from CND Vinylux’s Flirtation Collection Summer 2016 to your Easter beauty products basket. CND Vinylux is a weekly polish that doesn’t chip for at least seven days. 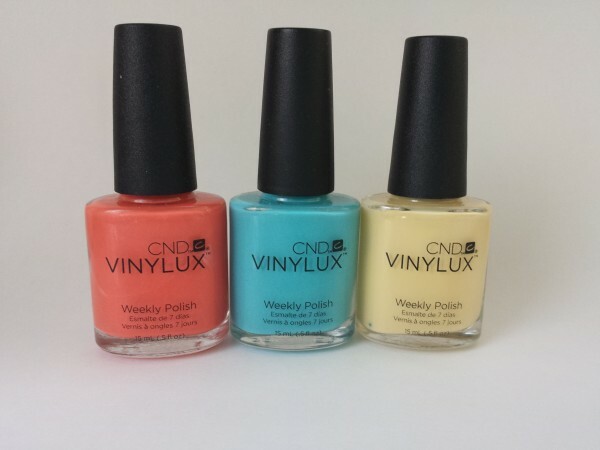 CND Vinylux nail polish is $12.50. Purchase CND Vinylux online or at Trade Secrets. Check out all eight nail polish shades from the CND Vinylux Flirtation Collection here. Pai Rosehip BioRegenerate Oil, $42.67, is a staple on my cosmetics shelf because it’s made for sensitive skin like mine. Pai Rosehip BioRegenerate Oil makes a great addition to an Easter beauty gift basket since it is good for people with dry or oily skin and young or mature skin. Rosehip oil is full of antioxidants, which have an anti-aging effect and the oil penetrates deeply into the skin. 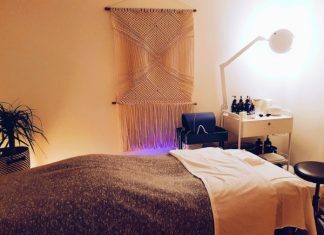 Developed and manufactured in London, England, celebrities such as Natalie Portman, Mila Kunis and Lana Del Ray are all fans of Pai Skincare products. Infinite Love Flower Elixir, $35, from Lotus Wei contains pure flower essences from Hong Kong Orchid, Wild Fireweed, Pink Magnolia, Orange Hawkweed and Pink Lotus to eliminate irritation, resentment, anger and codependency and to encourage self-love, self-reliance, and self-care. Flower alchemy is a natural way to restore balances in the mind and body and we think this would make a great addition to the Easter beauty products basket. 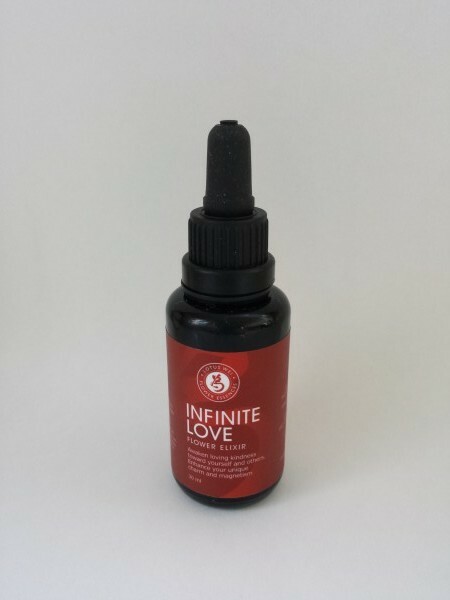 Infinite Love Flower Elixir can be purchased online or at local stores including The Detox Market at 420 King Street West. Enter our giveaway to win Vichy Ideal Body Aqua Sorbet. Giveaway ends March 22, 2016. I have yet to try any Vichy products. Thanks for the opportunity. I haven’t tried them, will have to look into finding them. I will love to try all this products, thanks for a chance. I haven’t tried their products. I have tried Vichy products before but not the aqua sorbet. I’ve never tried Vichy products before but would love to. I have not tried Vichy yet. I have actually. I have tried a face cream of Vichy a while ago. I have tried Vichy products before. My favourite is their eye makeup remover. yes,I have tried Vichy products before,,I love Vichy,,currently using the Vichy clear BB cream,,and love it! I have never tried Vichy before. Seen it in the stores but, would rather try a sample to see result before shelling out the cash for it. I have not tried Vichy products before but would love to give them a try! Yes I absolutely love Vichy! I have not tried Vichy products before. I have a vichy serum which is amazing! I’d love to try more vichy products! I’ve never tried any Vichy products before! I haven’t tried Vichy products before. I have used your sun screen products, very good. I’ve never tried anything from Vichy before but I would LOVE to! I haven’t, but I would like to try them! I’ve never tried Vichy before but I have heard great things about the brand! Ive tried Vichy products before but havent tried the aqua sorbet. I’ve heard this smells amazing. Yes, I’ve tried Vichy products, they are wonderful. I haven’t tried this product though, yet. Yes I have tried the Normaderm line and loved it. I have not tried Vichy products but the aqua sorbet sounds good to try. Yes I’ve tried the Vichy night cream. Yes I have tried quite a few Vichy products and I use their one-step-cleanser for my face daily. I had not heard of Vichy’s Ideal Body Aqua Sorbet until now. I am interested, sounds lovely. Vichy has been my go-to brand, but they’ve recently discontinued my facial toners, so, I dunno. I use the Vichy cleansing milk for my face and I love it! I have used Vichy products in the past, not sure why I stopped as they are good. I have used the Vichy Extreme Comfort Shower Cream. I have tried the dark spot corrector and believe it made a difference. I haven’t tried Vichy yet but would love to. Yes, I have tried them and really like them. I tried Vichy products like 14 years ago. Fell in love with the moisturizer and cleanser. 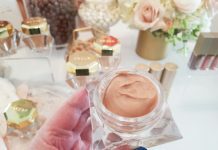 i have recently tried their Idealia line – so rich and luxurious! i love it! Yes, I have + love them, especially their facial mist! I have yet to try any Vichy products. I use Vichy facewash and lotions everyday! I don’t think I have, although there have been products that I thought would be worth trying. I haven’t tried Vichy yet. I adore Vichy products! They are very high quality. I have not yet had the chance to try any Vichy products. No I have never tried Vichy products before. I may have tried a sample a long time ago. I have not tried any Viche products yet but I would like to. No not yet, but would love to! I have tried and still using the Vichy toner. Not tried but have given as gifts. Yes I have tried. Rarely disappointed. yes I have tried Vichy! I’ve never tried any Vichy products before. Never tried Vichy before. 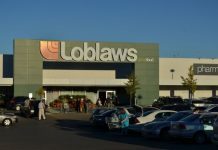 I live in a small town and some of these products are not available there. I have tried Vichy before yes, I like the self tanning milk. I’ve tried a toner from Vichy and it was lovely! Have tried before, loved it. I have never owned any of their products but my friend has them and always uses them on me when we’re out together. I’ve tried Vichy’s toner before- very nice! I haven’t tried any Vichy products before but would like to. Yes but not the one in this prize pack! No, but Life making me wiser and I need to start taking care of myself more. I have never tried Vichy before but would really love to! I have never tried it before, but would like to! I have used Vichy products. My mom always used their toner, and I would steal it fromher! 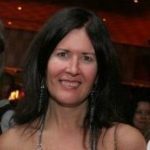 I have tried a few Vichy products over the years – mostly body products. 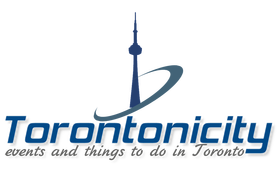 I have tried them and have always liked their products. I have tried Vichy before…the sleep mask, and I thought it worked really well. I have tried Vichy products before. I have tried the Vichy serum before but would like to try more of their awesome products! I’ve tried a Vichy night cream – it was great! No but I’d like to! I have never tried any Vichy products. I’ve tried Vichy products, but it was quite some time ago. What a great idea to make a beauty basket rather than a chocolate basket for easter! I have not tried any Vichy products but have always read great reviews. Maybe its time. Yes, I have tried a Vichy moisturizer. No, I don’t think I ever have, but looking forward to trying them. Yes, I have used their moisturizers in the past. I’ve tried so me of their concealers and face cream. Nice stuff. No, but have heard nothing but good things; would love to try it for myself! No, I haven’t tried Vichy products before. I have not tried Vichy products, I appreciate the chance, thank you. I have tried Vichy products before and I love them! I’ve actually never tried Vichy products before.